Due to the impact of the international financial environment, Taiwanâ€™s tool industry has lost more than 80% of its losses in recent years. As a result, they began to attack China's CNC tool market at a low price, and the price of some tools was even lower than the price of domestic CNC tools; the low price and low-cost strategy worked hard to squeeze the market and was called the price killer in the CNC tool market. At present, China's tool industry presents six major characteristics. To develop the tool industry, we must strive to improve the overall competitiveness of the industry from these six aspects and shorten the gap between the entire tool industry and the world's cutting tool industry. After joining the WTO, global procurement will enable a large number of reasonable prices, mature cutting tools continue to flood the Chinese market, allowing customers to have more choice and bidding capabilities, making it more difficult for the domestic CNC tool manufacturers to market development. The scale of production and operation of domestic CNC tool companies is too small to form a close combination of their own cutting tool industry chains. In particular, manufacturers of tool systems do not produce blades, blade manufacturers do not produce tools, and they are almost entirely dependent on suppliers. Real industry alliance within industry. CNC cutters are technology-intensive, knowledge-intensive, and talent-intensive industries, and their development is highly dependent on talents, especially when the company's production and operation scale is small. The domestic numerical control cutting tool technical talents, management talents, marketing talents, and CNC machine tool operators are all in short supply. The general training period is 3 to 5 years. However, colleges and universities do not take up the responsibility of training CNC CNC machining and CNC cutter professionals. They rely on the long time for the enterprises to cultivate themselves. They often do less work and do not necessarily retain them. Chinaâ€™s tool industry has been fully open to the outside world long ago, and the domestic market has long achieved the globalization of tool procurement. Foreign tool vendors have entered the Chinese market for more than 10 years. The sales network and technical service system have been well established. There are several offices in major cities in China, and there are more than 1,000 sales and technical service employees. With their high-quality products, perfect technical services, and continuously reduced product sales prices, the current price of imported cutting tools has dropped to 2/3 to 1/2 10 years ago, which has monopolized China's high-end tool market. Luo Baihui pointed out that in the process of economic globalization, multinational tool companies have taken more and more advantages in core competitiveness such as technology, resources, and information services. The difference in the strength of domestic tools is farther and farther. 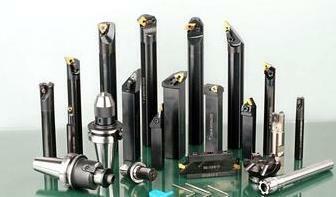 China's tool industry must improve the overall integration of the industry. Level. Hardware companies, the trend of Internet development, innovative marketing models. "Workers must first sharpen their tools if they want to do a good job." Companies are the mainstay of development. If they are transformed and upgraded, where do they start? It's easier said than done! If the failure of the transition will lead to a failure, but it won't be transformed and upgraded, the road to enterprise development will sooner or later come. End. In 2012, hardware companies must first inspire their spirit, adhere to the road of development, and transition to â€œintensive, special, and specialâ€ intensive, production and service-oriented enterprises. reflective film is mainly used in road traffic signs, motor vehicle license plate and other production. In recent years, its application in the non-traffic areas have gradually become popular, such as bus stop sign, body stickers, cartoon stickers. Unlike traditional traffic signs and other monochrome applications, in the field of non-marking applications, most of the need to produce color patterns. This needs to be solved by the screen process. The surface of the general Reflective Film is PVC and polyester. So to choose the PVC substrate ink to achieve the ink on the reflective film surface good adhesion performance.